LADAMA defy convention and borders. 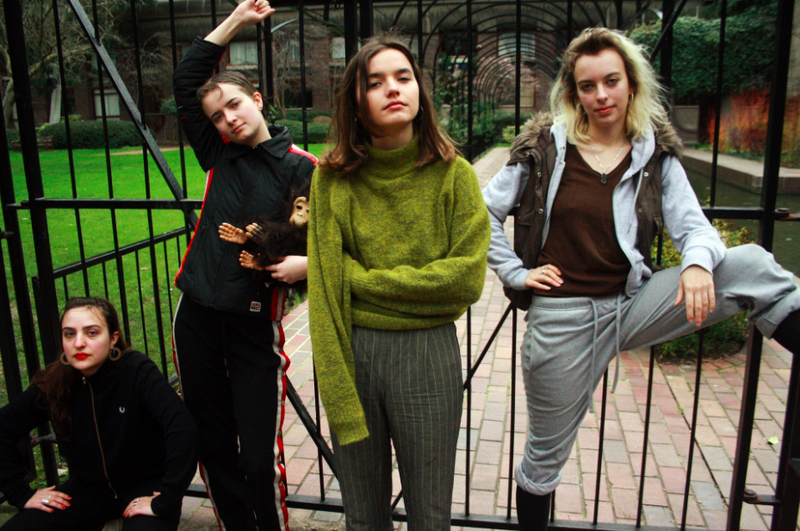 They are a powerful creative musical collective made up of four women from around the world. Venezuela (Mafer), Colombia (Daniela), Brazil (Lara), and USA (Sara) to be exact. They draw passionate influence from Latino sounds and their individual cultural heritage, rendering them incredibly influential in the world music scene. Through their music and friendship, they are constantly sharing ideas, views, and music with each other and their audience. 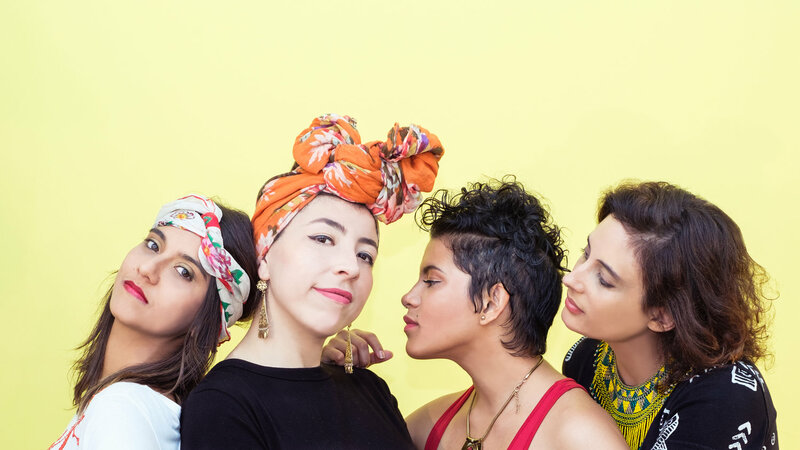 We recently had the pleasure of chatting with LADAMA at this years WOMAD festival, read below. I just watched your talk and thought it was amazing - how was that for you? It was amazing! We didn’t know if people would come or if there would be an audience and we had so much fun. 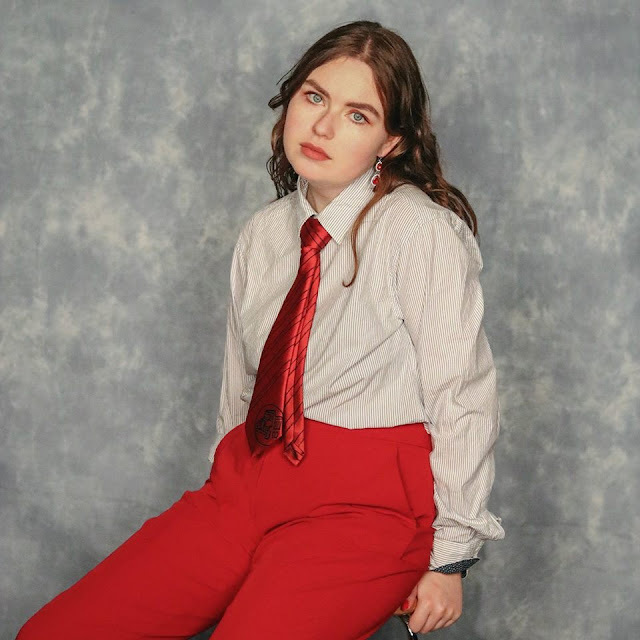 We shared our experiences as a band about being women in the music industry, and that’s something that people were keen to talk about. We talked a lot about how we did it, how we accomplished it etc. People keep telling us that they admire seeing women working together and empowering ourselves. It was a beautiful exercise because we would say what we liked about each other. We support each other in all aspects of our careers, but we also spoke about who we are as LADAMA. It was beautiful and everyone asked a lot of things about being a woman in the music business. Are you enjoying WOMAD so far? It’s amazing! We didn’t foresee the possibility to talk to so much awesome media and people who are interested in having interviews and discussing the mission of what we do. We just had an incredible workshop where we played the drums with 450 people! We did body percussion and drums and that was beautiful. I didn’t know it would be so diverse as an experience. Rather than just coming to a festival and playing, we are also involved with other things and I think that is beautiful. What would your advice be to anyone, especially young women, about starting out in the industry? From our experience, there's different advice and tips that we can give to people, especially to women. I would say that collaborative work allowed us to develop and to have a spotlight in the music business. If you have friends making different music, then partner with them to create a collaboration in loads of ways. It could be a concert or a video, anything. We try to be creative with our ideas and we do that by collaborating with other women. Find people who share your dream! Yeah, because if you do that it’s going to get bigger and then you’re going to have a bigger impact. The second tip would be, as a musician and an artist, to be engaged with social issues, particularly things you don’t like about your community or something that bothers you politically in your country. Use your music to talk about things and give visibility to people who are actually struggling. If you have a social conscience then it’s very important. It’s helping us to take our music to another level, not just to play, but to actually change people’s minds. I think it’s important to recognise the power that other women have. Sometimes we don’t have all the answers, but we know others do. Other women have the same experiences and someone might have the answer to my big question. It’s important to be connected to others.. If you can find relatable things with other women, then you can be powerful in the music industry. Try to get out of your comfort zone and approach other musicians to make a different impact. There is always isolation in the industry but if you want to take a risk and approach a musician that works differently to you, do it. That’s what happened to us. If it’s political to be empathetic, then yes! Every action we make as humans is political. It’s not about leaders, it’s more like a speech that people need to hear from the real people. I think so, we are a political band. We compose music, we have speech, we are political. The music we make, and the way we mix the rhythms together, we tried to combine our countries using music. On the next record we are going to try and tackle more subjects like immigrant rights, and this sort of thing because we are dealing with it in our countries. In all of our countries, we are facing problems and issues. We feel a social responsibility as citizens. For me it’s a moral thing, it’s not a choice. Being political is about taking care of your country, because what we have in common is corruption in our governments. We have learned from each other's experience. We tell each other about what's actually going on in our countries. Responsibility at the moment for the States and South America is in the hands of the people. We have to talk about it and feel united to incite political action. Political action does not belong to politicians, it belongs to the citizens. That’s such a nice question! No one has ever asked that! I started learning Spanish but I never thought I would be able to work and be friends with people who speak Spanish. The first thing that made us become friends was the Spanish. Also, I love the human beings that they are and the things that they care about in life. I feel inspired by each other's different personalities. Lara is a practical person and for me, that’s inspiring because I am the opposite. She’s also very easy going - I want to be like that. Sara is very to the point which I love. The reason why we're such a special and unique band is that we're all so different. With Mafe,r she inspires me with her goals, however big they may be. If she wanted to do a collaboration with Beyoncé she’s going to make it happen! Mafer was the one who came up with LADAMA! She said: ‘I am going to bring you to Venezuela to share and make music - let’s go.' Sara does the budgets and the spreadsheets and it all works out! It’s an honour for me to be a part of this band, they are amazing humans, amazing women, and amazing musicians. At the same time, they are massive educators.